There are three types of economies. There is capitalism. Then there is communism. Then there is nationalism. Capitalism is a system where investment is done privately and private owners try to gain positive returns for their investment. Communism is a system where the government invests and tries to get a positive return for its investment. Nationalism is a system where the government decides what investment is good for the country, sings and dances when there are good returns for investment and buries its head in the sand when the investments did not bear their fruits. 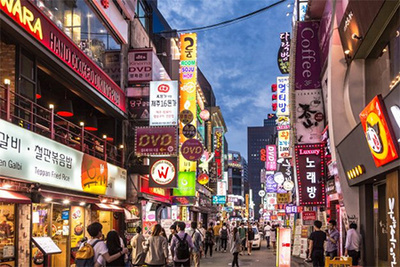 South Korea is perhaps the world's best known example of nationalist economy. The government leads and suggests, and the rest follow. Unlike capitalism where individual businesses compete against each other, in nationalism, arrangements are made so two, three or more businesses from a country can work on an investment together, if it benefits the country. This lead to thousands of South Korean investors around the world all chanting the phrase “we have technology.” What technology? I would ask them. Korea has technology they would tell me. Give me examples, I would ask them. They would give me examples. Chips on public busses that accurately estimate what time the bus will arrive. The world's best fiber optic. Cheap and high quality microchips for hundreds of different uses. Everything else from alcohol distillation to oil refining techniques to engines and turbines to welding techniques to everything else. The problem with the nationalist economy mode is you had thousands of Korean companies selling “Korean products” whose parts or technology they did not necessarily own. They had no connection to the product being sold other than sharing the nationality of another company that owns the product. Philosophically this has implications. First, I wouldn't sell my wife's stuff, let alone my brother's stuff. Because that would be taking their stuff, and causing them to work on a project they did not necessarily ask to get involved in. Second of all, if I keep selling my wife's stuff or my brother's stuff and the product bombs, who is the client going to blame? Me, my brother, my wife, my village or my country? He'll blame me of course, then I'll tell the client that it's actually my brother's stuff and that I was a middle man in all this. Put that on a national scale and you get a nation of middle men who like to sell other companies' stuff, take the money if things go right and blame companies if things go wrong. Now that's an easy job. Other philosophical questions are implied in nationalist economies. Who owns what? If I sell my brother's stuff who owns what part of the product I'm selling? Now that's when business ownership starts becoming a criss-cross of names who own vertical and horizontal parts of the company that make ownership very difficult to define. In case a client has a conflict, the company can then pass the ball on to the next guy and keep throwing the ball in circles until the client gives up. Other philosophical question. Who owns the intellectual property? If I sell my wife's music is it her music or my music? Shouldn't be a problem, until my wife decides she needs a divorce to move on with her life that is. Final question. What if Korean company A sells me Korean company B's product, takes the money and runs? The Escrow payment system being illegal in Korea, the 50-50 system tends to be used where you pay 50% for the order and 50% for the delivery. What if the guy takes the 50% and runs. As I said, there's capitalism, where my brother sells his stuff and my wife sells her own music. There's communism, where my brother sells his stuff and gives the grand father the money, and gets a small paycheck for selling his stuff. Then there's nationalism, where everyone is selling everyone else's stuff to make the country great. Except that in most countries people really need to know who owns what.